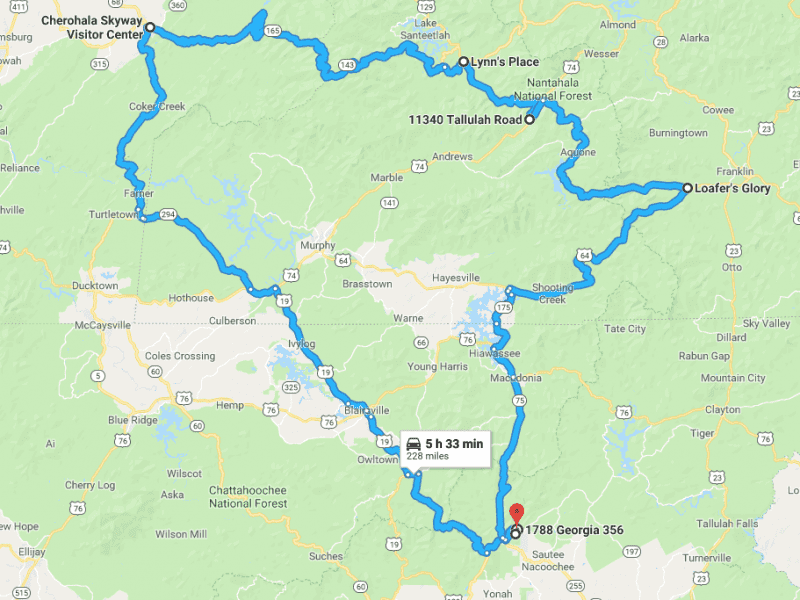 This drive will take us from Unicoi State Lodge to the west side of the Cherohala Skyway. We'll take a quick break at the Skyway visitor center before making our way into Robbinsville NC for lunch. From there we'll make a stop for gas and start the second half of our drive down Wayah Road before making our way back to Unicoi State Lodge.